If you live in Oak Park your home is exposed to Chicago’s summer sunshine and winter frigid temperatures and snowfall. Just like other parts of your home, paint will weather and require repainting. Every 5-7 years is the recommendation of how often you should repaint your home’s exterior. Often times people choose to do a DIY house painting job to save money. The finished project of a DIY paint job could cost you more time and money than a professional would. In fact, there are several benefits to hiring a professional for your house painting in Oak Park. A paint job that would take you as a homeowner days or even weeks, could be completed by a professional in one or two days. Think again before you request of off work for a week to complete a painting project. Painting on your own will also require you to rent or purchase the appropriate tools. You will need paint rollers, paint trays, buckets and painter’s tape. A professional will have these items all on hand. Your professional house painting Oak Park company, will be a team of experts that are able to perform quality work. Meaning when paint is applied by a pro such as Fortune Restoration, the paint will last longer and will require less touch-ups, saving you money in the future. Unless you are professional painter yourself, it is unlikely that you have the same skill set as a house painting Oak Park company. Fortune Restoration has years of experience making our team equip to finish the job and do so properly. If our team makes a mistake, we will fix it free of charge. When you make a mistake during your DIY project, there really won’t be many resources available to you. You will be stuck resolving and cleaning up your mistakes. 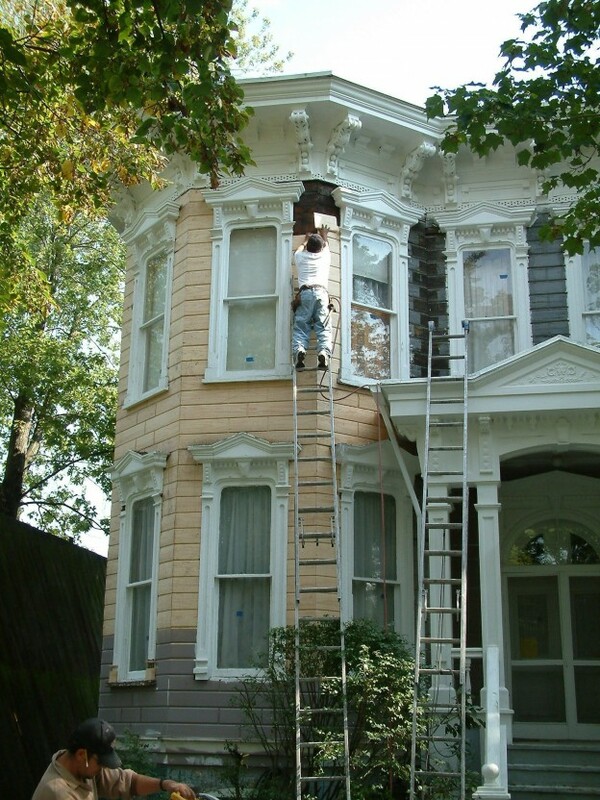 If you are searching for a house painting Oak Park company, call Fortune Restoration today! Our trusted team of professionals has been painting in the Chicagoland area for over 25 years. From large scale commercial projects to repainting a single room, we offer the painting services you need for your next project. This entry was posted in Blog, Painting on July 15, 2016 by admin.